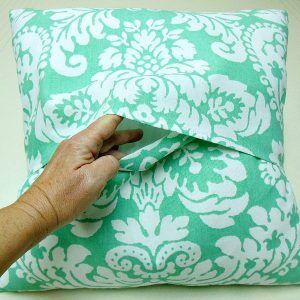 In this envelope pillow cover tutorial, you’ll learn how to sew a removable pillow cover that doesn’t require inserting a dreaded zipper! This sewing tutorial is fast and easy to complete! 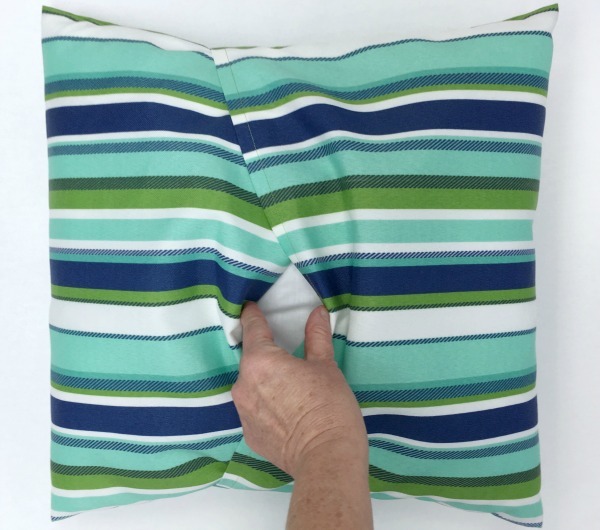 Are you looking for a pillow cover that you can easily remove from the pillow form when it gets dirty, or maybe you would like to change the pillow cover for the seasons or holidays? Do you dread the thought of inserting a zipper in a pillow? 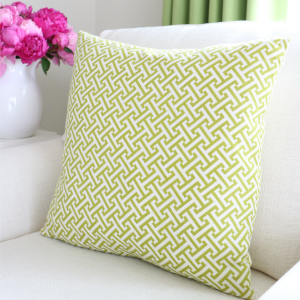 If so, then you’ll love this quick and easy envelope pillow cover tutorial! Really, you’ll have a new pillow cover in just minutes! The best part is that you can choose the fabric for the pillow cover! No more having to settle for the ready . 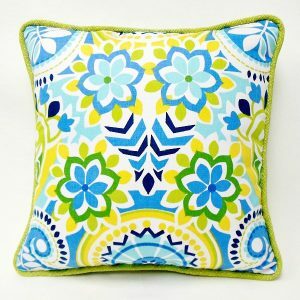 made pillow fabrics that you find in the stores. This envelope pillow cover is made differently than the one that I created here on my blog a few years ago. (You can find my How To Make An Envelope Pillow HERE). Fabric of your choice – 1/2 to 1 yards depending on the size of your pillow. I love to buy fabrics HERE. Pillow form – This is my favorite brand of pillow forms. Sewing machine – This is the home sewing machine that I have. 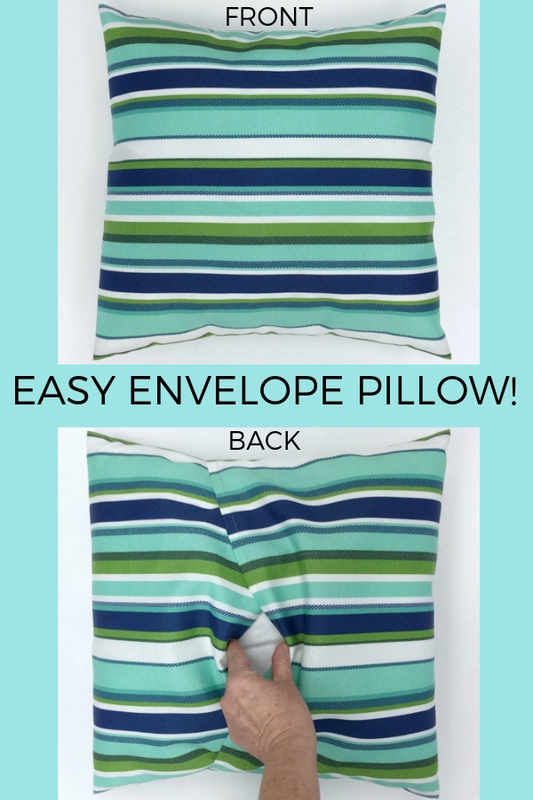 I’ve created a video that shows step by step how to make an envelope pillow cover. I’ve also written out the steps below the video for you to follow along, if you’d like. 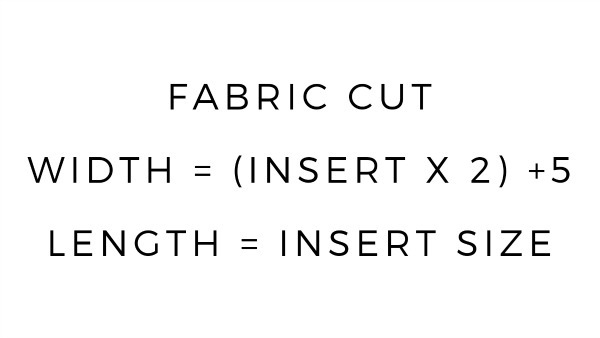 Cut out your fabric. The width should be (the size of the pillow insert multiplied by 2) plus 5″. The length of your cut should be the same size as your pillow form. These cuts will make a nice snug pillow cover. My pillow form is 18″ x 18″, so my cuts are: Width = 18″ x 2 +5″ or 41″ Length = 18″. Serge or zig-zag around all four edges of the fabric to keep it from fraying. You could also use a zig-zag stitch. On each short end of the fabric, iron a fold at 1/2″. Then fold over another 1/2″ and iron in place. This will make a double 1/2″ hem on each of the short ends of the fabric. Mark the center of each of the long edges with a pin. 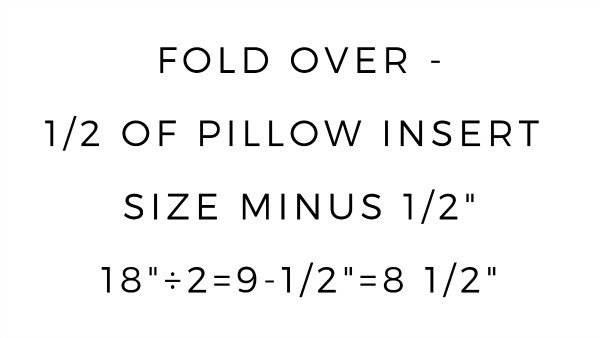 Fold over 1/2 of the pillow size minus 1/2″ on each end. Sew 1/2″ seam on each end. Using That Purple Thang, poke out the corners. You could also use a chop stick. That’s it, you’re done! Like I said, quick and easy! I hope you’ve enjoyed this envelope pillow cover tutorial! Love this tutorial, Jann! Great way to make lovely pillows! Would love to have you link-up at Homestyle Gathering on Tuesdays over at My Wee Abode! Thanks Julie! I’ll check it out. You made this look so easy I am going to have to try one! Thank you! It really is very easy! I was looking for a good tutorial for making pillows I need to make a bunch. Maria, good luck with all of your pillows!